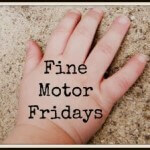 Fine motor skills made fun! How can we make skills practice fun? That is my biggest question around here. Liam needs to work on these skills but he wants to have fun too! 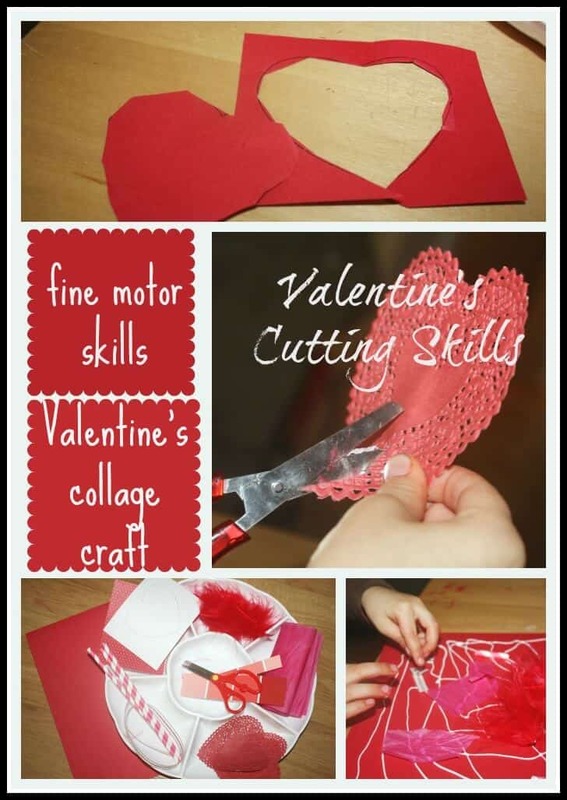 This hands-on scissor cutting skills activity was a great combination of the two with a Valentine’s Day theme! His favorite color right now is pink anyway so it fits! Using scissors is tricky, cutting the same lines over and over is not so much fun. 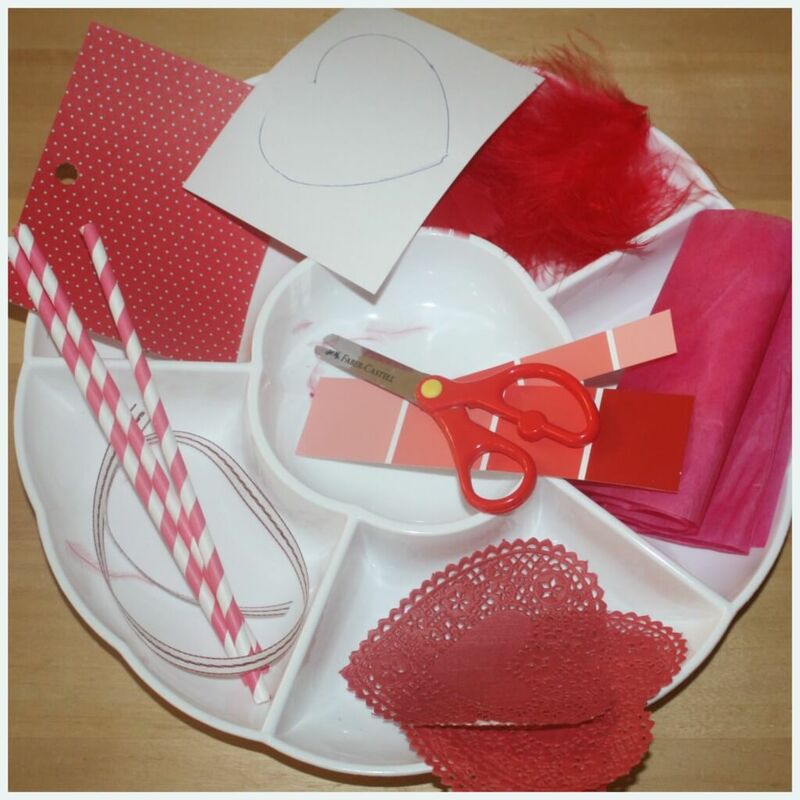 I made a fun scissors cutting skills activity tray with lots of pretty Valentine’s Day themed materials. A little out of the ordinary and very bright and pink! 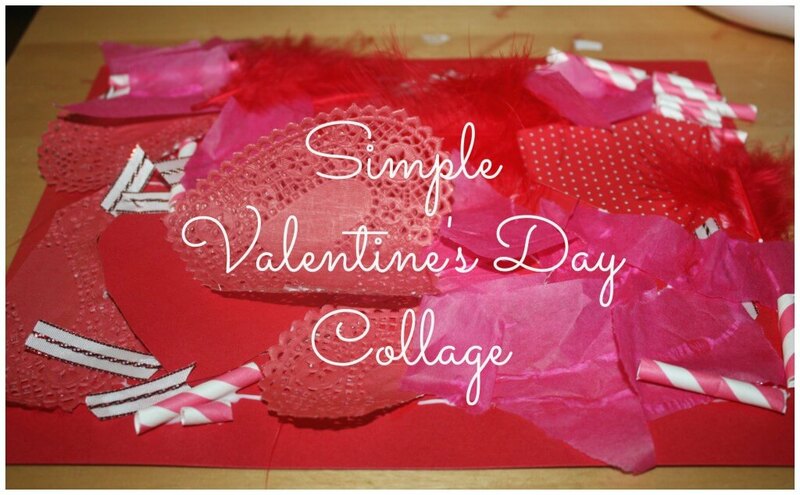 I included scrapbooking paper with hearts drawn on one side, feathers, tissue paper, paint sample strips, colorful straws, ribbon and heart doilies. I also had a piece of red paper and some glue nearby to continue the activity with a collage. Whatever you have on hand really! I love to look through my crafting stash of stuff and see what has been hiding! I do replenish with sales and coupons at craft stores but buy little and reuse quite a bit or find new ways to use what I have on hand. Liam does enjoy using his scissors and our best so far have been from the dollar store! He is getting much better with finger position though he still wants to stick all the fingers all the way through the loops. Work in progress! 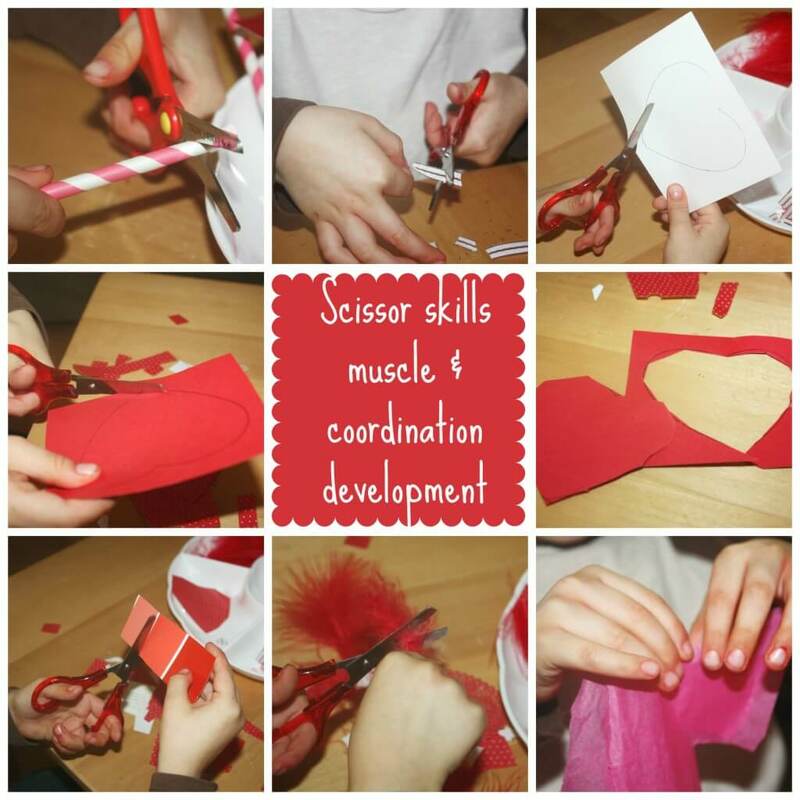 Scissor cutting skills are great for preschoolers to work on as much as they are willing as it take a great deal of practice, muscle and coordination development to master. I like to come with fun things for him to cut and activities that he gets excited about doing together. Scissor cutting skills work and play! He really worked quite hard practicing his scissor cutting skills with each material. Some were tougher than others to cut through and some required him to really focus on moving the paper and following a curved line. He did a super job with cutting out the hearts I traced for him! I even had him do some tissue paper tearing at the end. He is still working on that skill and the opposing motion it needs to tear the paper. This scissor cutting skills was getting a little messy! On to the collage! Sometimes I am able to extend an activity with an additional activity that is less structured. I had a piece of red scrap book paper on hand and a bottle of glue. He helped me squeeze the glue all over the page and then pasted all his clippings and cuttings onto it. So pretty! I let him do what he wanted and put everything where he pleased. I am a big fan of kid’s free play collages! In the midst of chaos, there is always beauty. 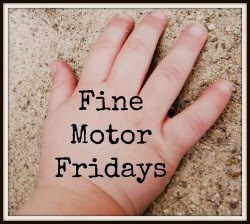 Join my fellow bloggers as we share our Fine Motor Friday activities this week! Liam did a good job on that collage! Looks good! Love that you turned it into a collage! Definitely going to do this with my daughter during Letter V week!! I always love your trays! I love the materials you selected even just using what you had on hand! I also LOVE Liam’s collage! Great job, buddy! That’s great practice cutting those different materials. I love how you turned it into a collage at the end too! Your tray activities always rock! A gorgeous collage. Thanks for linking up for Mummy Mondays. We definitely had fun. Thank you for hosting! Collages are so fun to make and I love how you can improve scissor skills while making something pretty! Oh, I love this! We have been focusing on scissor cutting skills and discussing the many imperative benefits they provide kiddos on Makeovers & Motherhood. I will be featuring this on our Welcome Party Wednesday Link-Up this week! I’m so glad you shared! What a great (and pretty) activity/craft!